Mere days ago, spooked investors were asking themselves: Is it time to get out of stocks? A double whammy of worsening European economic woes and the ongoing global crises from Ebola to ISIS had spread fear in the market. At the worst point last week, nearly all the gains for the year were wiped out. But today, stocks surged. People who have their money invested in funds that track the S&P 500 or tech-heavy Nasdaq are smiling. Both indexes have erased well over half their losses for October. Or put another way: The S&P 500 is now up over 5% for the year. And the Nasdaq, which had its best day of 2014 today, is up even higher. Even the Dow, which has struggled the most in recent weeks, is showing signs of a momentum change. 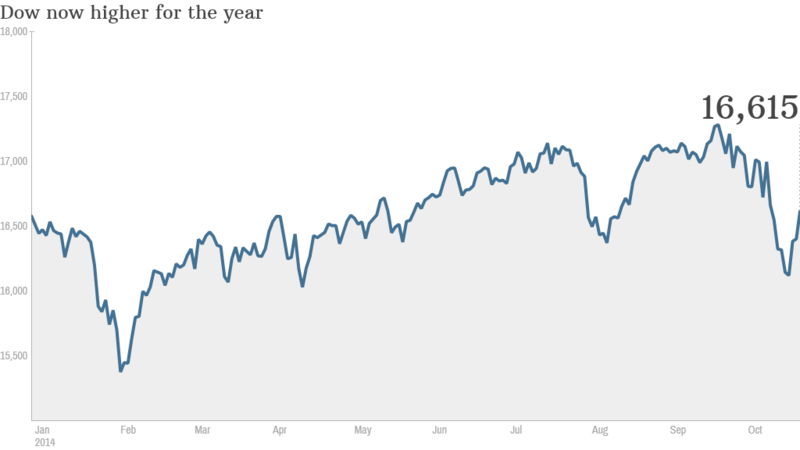 The blue chip index surged 200 points, one of its best moves of the year. The market is clearly reacting positively to earnings from major U.S. companies. 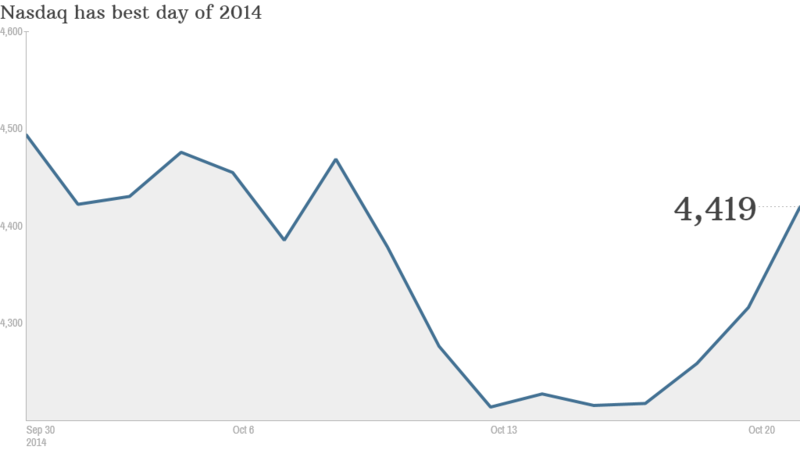 Apple (AAPL) jump started enthusiasm on Tuesday after reporting big gains, thanks to the iPhone 6. With more products expected in stores soon, there's a lot to like there. Harley-Davidson (HOG)also revved up investors with impressive results, sending the stock up over 7%.